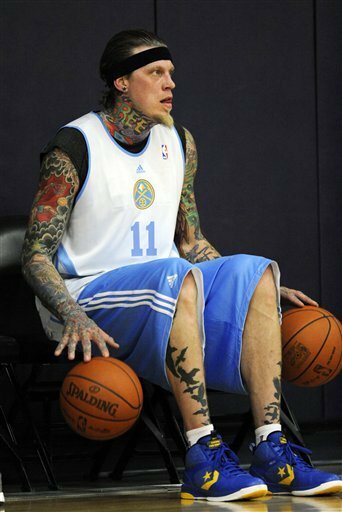 Finally NBA is here and with that comes a first look at Chris Andersen's Pro Leather 2k11. I am not really sure what happened with the blue, it doesn't really match the Nuggets at all. Hopefully by the time the season actually starts they will have this corrected. If he played for the Warriors these would be perfect though.